Rome is one of the most visited cities in Europe. 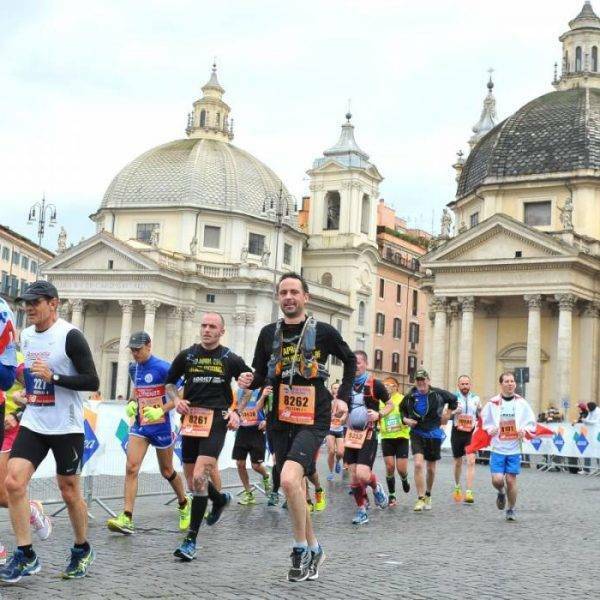 “The Eternal City” is steeped in history at every turn, from the Roman Empire, via the rise of the Vatican and the great Renaissance squares and fountains, to the modern Olympic Stadium. 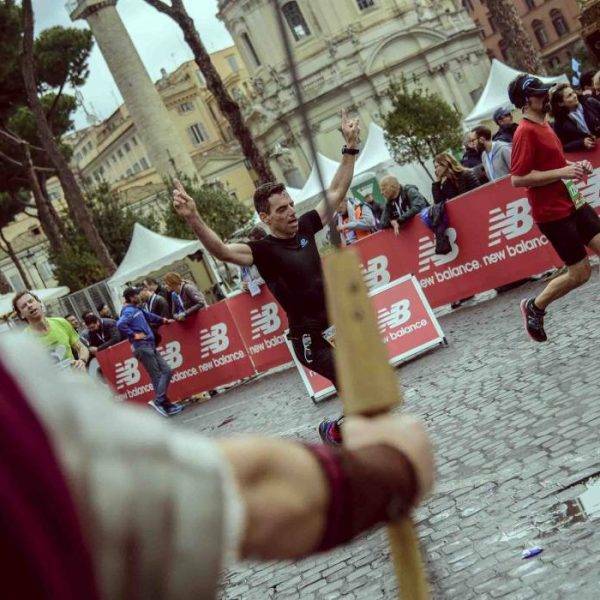 You certainly won’t see everything in a single weekend however, by running in the Rome Marathon, your memories of this magical city will stay with you forever! 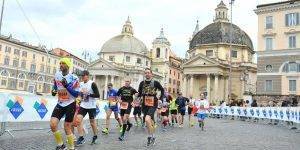 Why not have a romantic weekend in Rome by bringing your partner with you and combine your holiday weekend with a running holiday, giving you the best of both worlds? 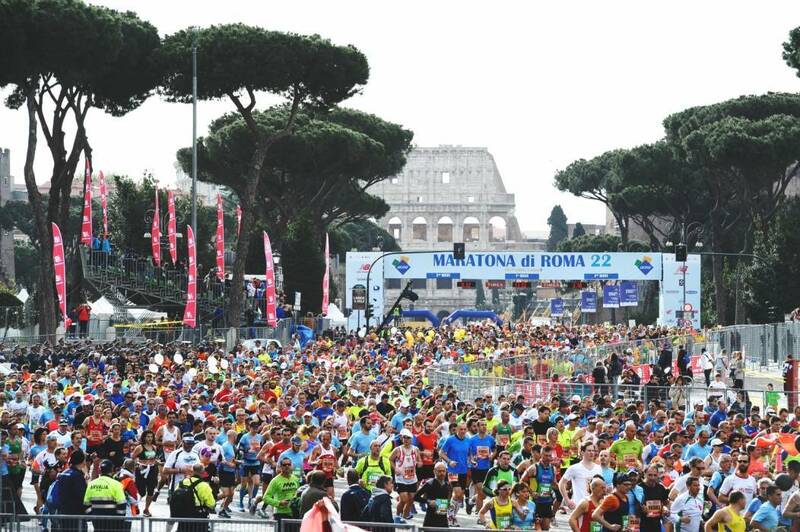 Every year 16 thousand runners from 131 countries come to Rome to explore this wonderful city during the Maratona di Roma weekend. Extra hotel nights on a request basis, subject to availability. NOTE – Bookings are on a request basis and therefore we advise that you do not book any flights until you receive further confirmation from us. This usually take 24 – 48 hours (excluding weekends). There is no better feeling than a pre race atmosphere. And what could be even better than being surrounded in years of history? 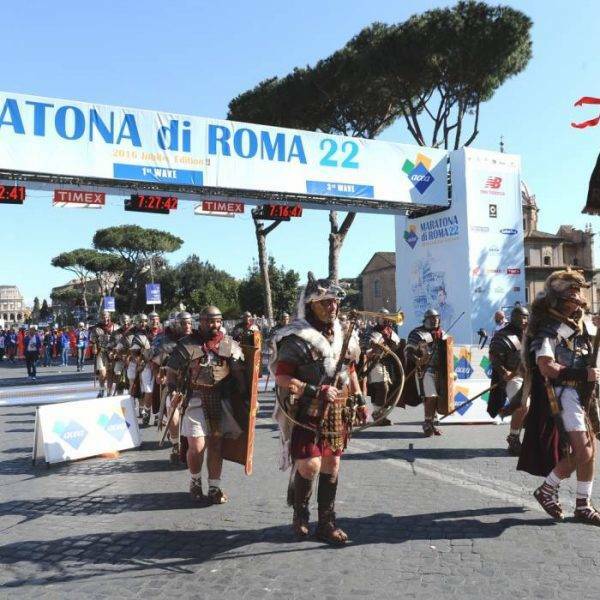 Soak it all in as you start your 26.2 mile journey in front of the 2,000 year old Coliseum, before taking on a marathon route that welcomes you with its many magnificent sights along the way. 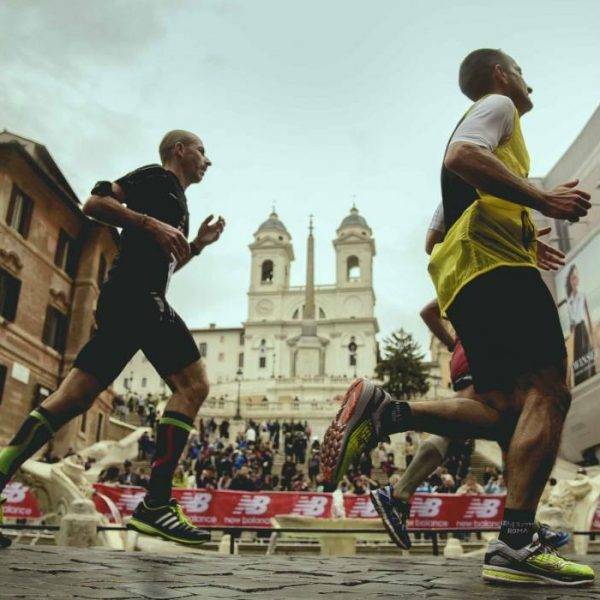 Among other sights, you will run past Saint Peter’s Basilica, the Trevi Fountain, Piazza Navona and through plenty of narrow picturesque streets. 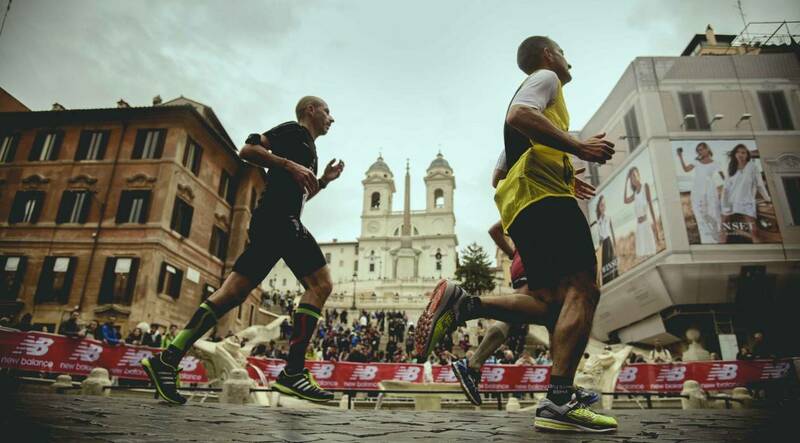 The course is surprisingly flat, but can at times be uneven with cobblestone streets. This simply adds to its authenticity and uniqueness of the event. 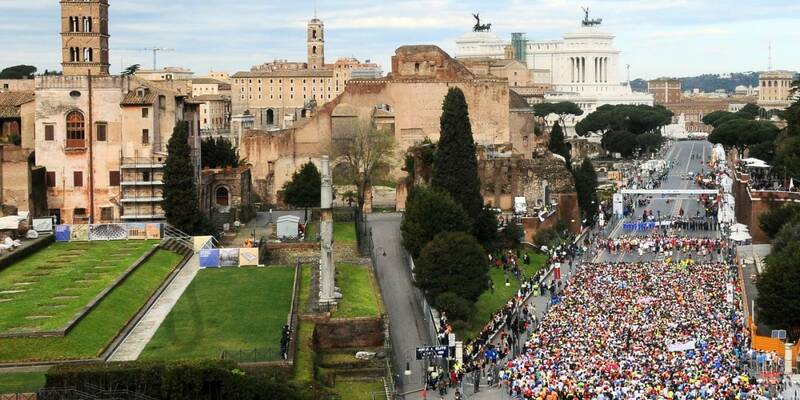 The course includes almost all the most beautiful and important monuments, streets and squares of Rome. 2020 information to follow shortly. Once you arrive into Rome you will make your own way to your hotel. 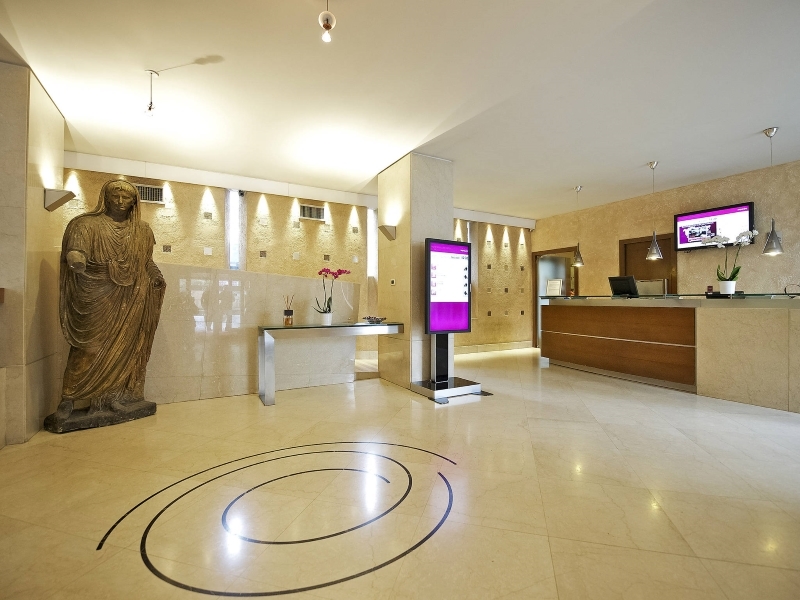 After arriving at the hotel, the afternoon is free for you to explore and settle into this wonderful city. Alternatively, we are able to book private transfers for you at a cost of £120 return per car (max 4 people) and £190 return per car (5 – 8 people). If booking our transfers, please provide your flight details. 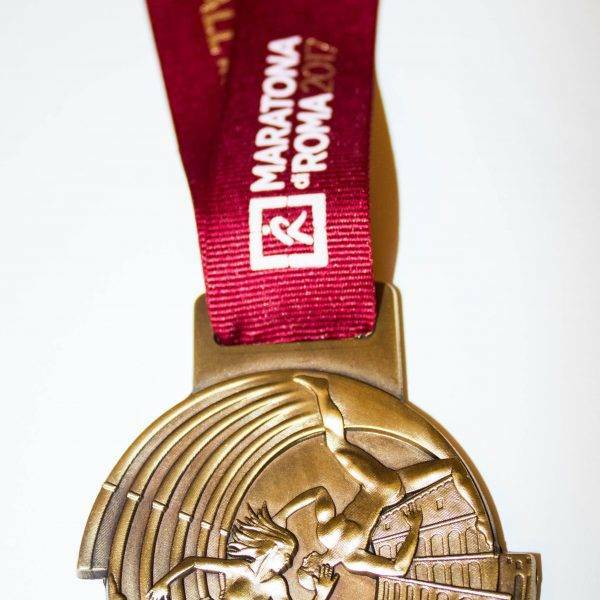 Dependent on your arrival time, you will be able to collect your race pack from the Marathon Expo from 10am until 8pm. 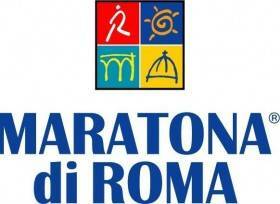 The Sports Expo Marathon Village is located at Piazza J.F.Kennedy 1-Eur Roma. The location can be found below. 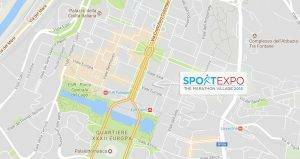 The Sports Expo Marathon Village is easily accessible by Metro, bus or taxi. Metro – From Stazione Termini, Metro B Laurentina to EUR Fermi stop (10 stops from Stazione Termini). On foot 200mt. 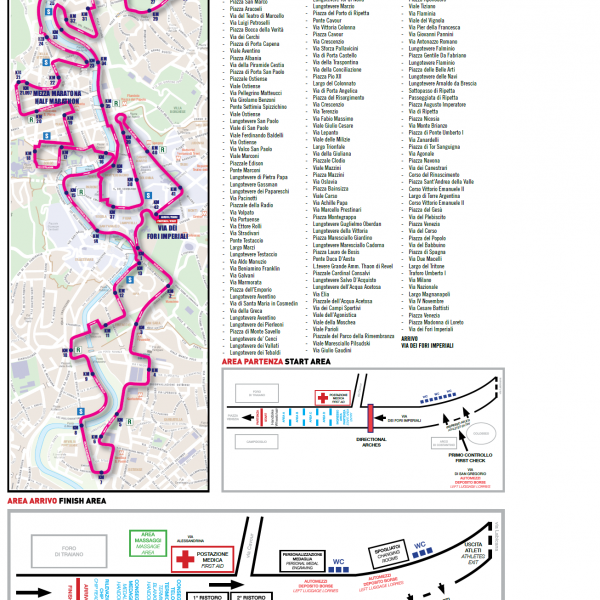 By bus – From Stazione Termini, 714 Line Stop: Colombo/Europa. To book a taxi, please see hotel concierge. 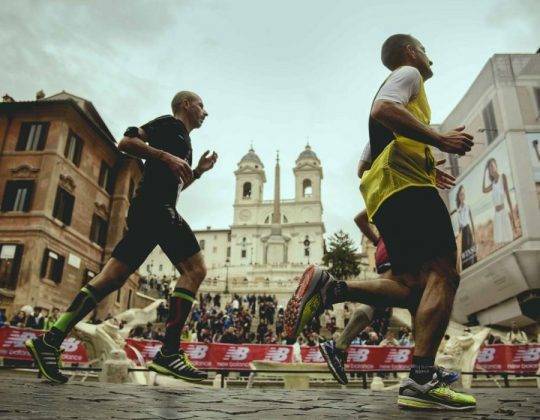 After breakfast, your day is free to explore the city or attend the marathon expo to collect your running bib. 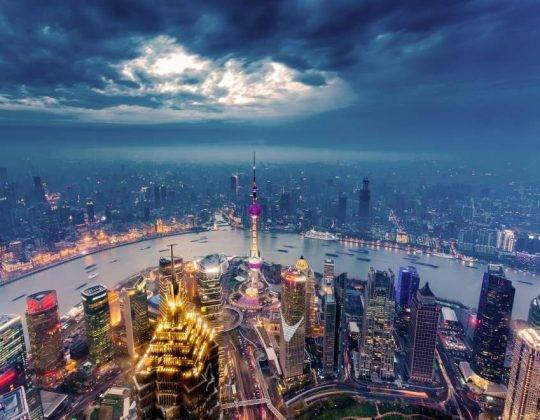 Today you have the option of two different sightseeing tours (optional extra’s). Please see below for more information Local staff will be available from 17.00 – 18.30 should you require any assistance. At 7.30pm there is a pasta party with beverages locally. You will be met by local ground staff and escorted to the venue. 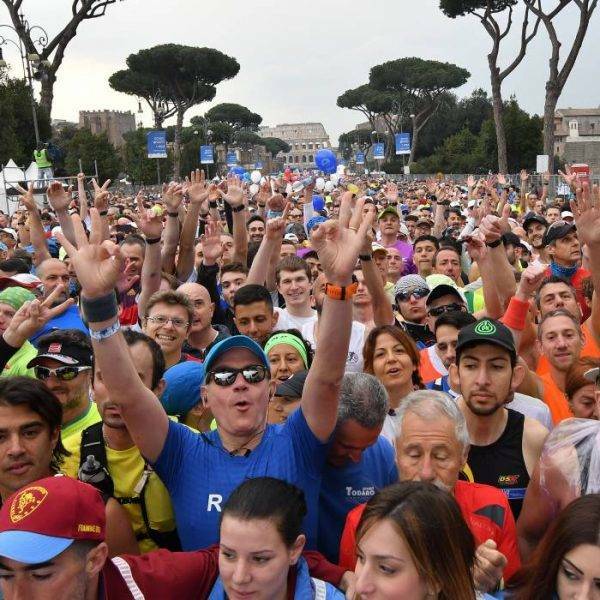 The Pasta Party is included as part of your package runner and non runners welcome. Sample a range of pasta and salads and finish with a sweet “crostata”. Guided Vatican Tour – Discover one of the worlds finest art collections on a 3 hour semi private tour of the Vatican City in Rome. Skip the long lines to the Vatican Museums. Then marvel at Michelangelo’s frescoes in the Sistine Chapel. The tour ends in St Peter’s Basilica. £65 per person (excluding museum entry fee’s payable locally). Guided Colosseum and Ancient Rome Walking Tour – Explore Ancient Rome on a walking tour of the Colosseum, Roman Forum and Palatine Hill. Skip the lines to enter the popular attractions with an expert guide. 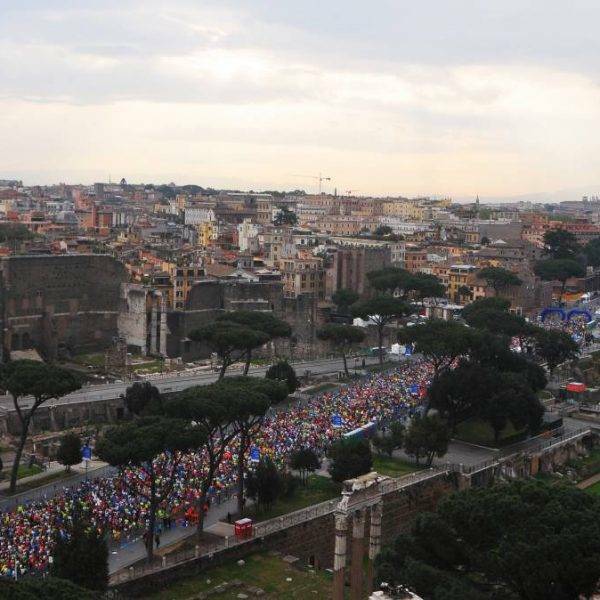 Learn about the Roman Empire, see the tomb of Julius Caesar and stop at the Via Sacra. The tour lasts 3 hours. £50 per person (excluding museum entry fee’s payable locally). Today is the day! After months of training, the day is finally here. 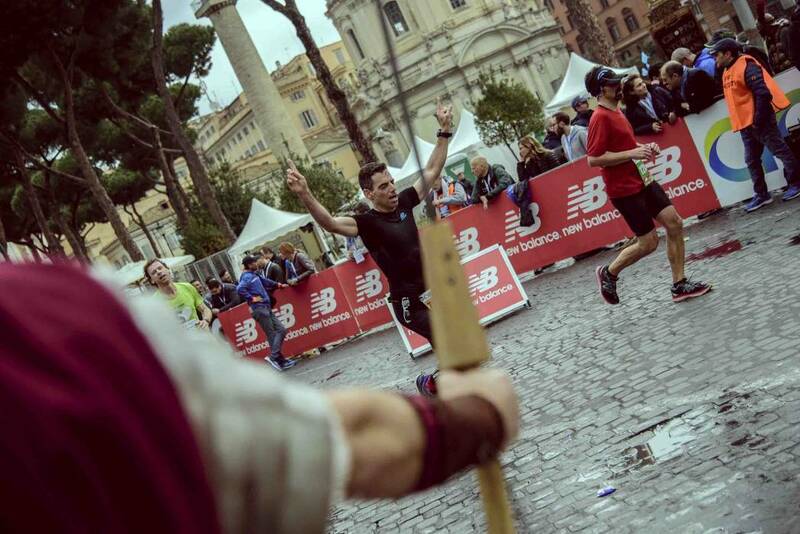 Take your place at the start line as you set off on your running journey through history for the Rome Marathon. 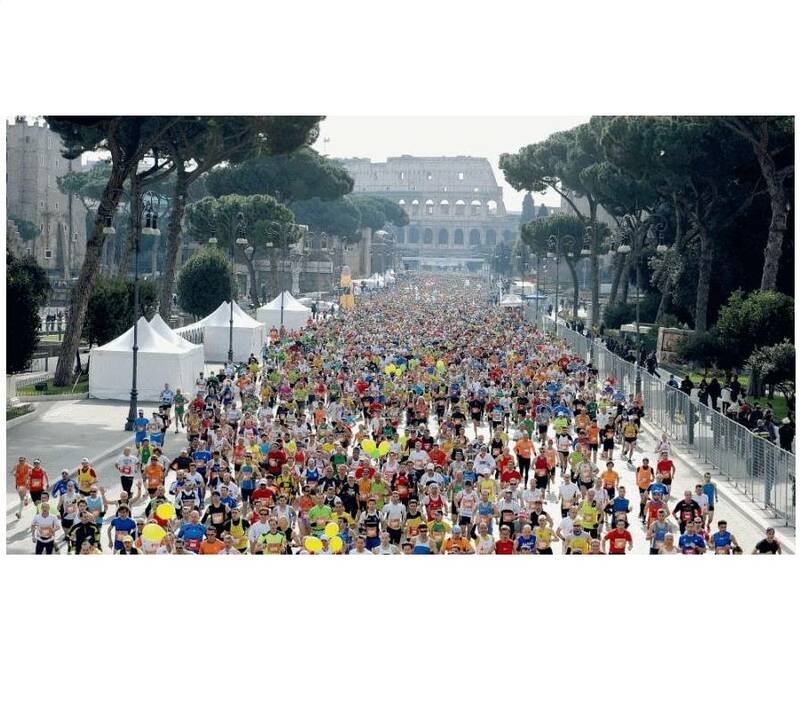 The start is at 8.50am from Via dei Fori Imperiali (a time limit of 7 hours 30 minutes). 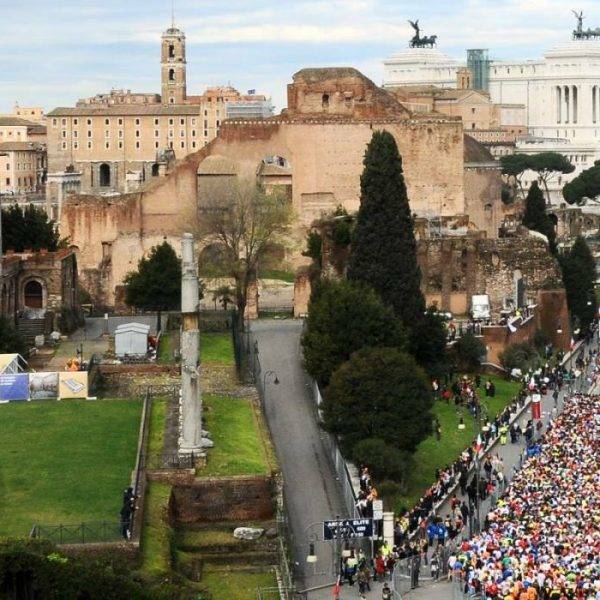 Every road leads to Rome. 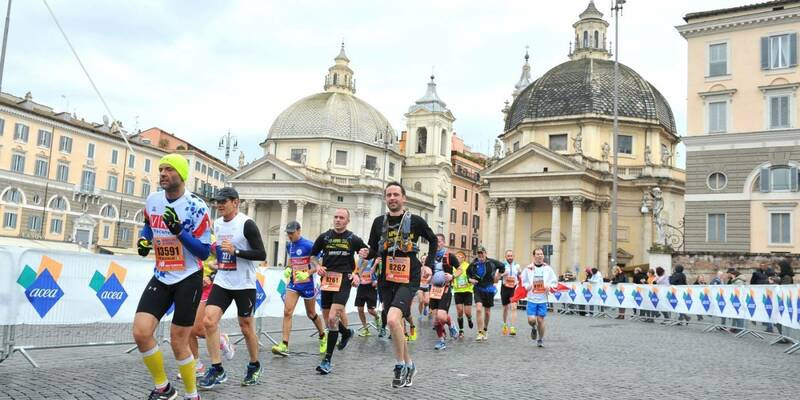 After a 26.2 miles cross the finish line to receive the all important Rome Marathon commemorative medal. 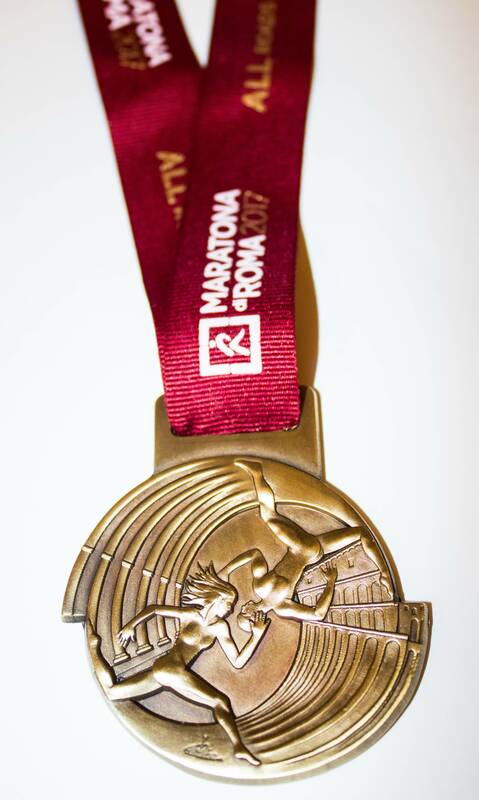 Spend the evening celebrating with your friends, family and other runners as you enjoy a well deserved drink. After breakfast, check out of the hotel by midday. You will then have time to explore Rome before your return on onward journey. Please let us know if you would like to spend more time exploring Rome and we can try to accommodate this for you. * Subject to availability. 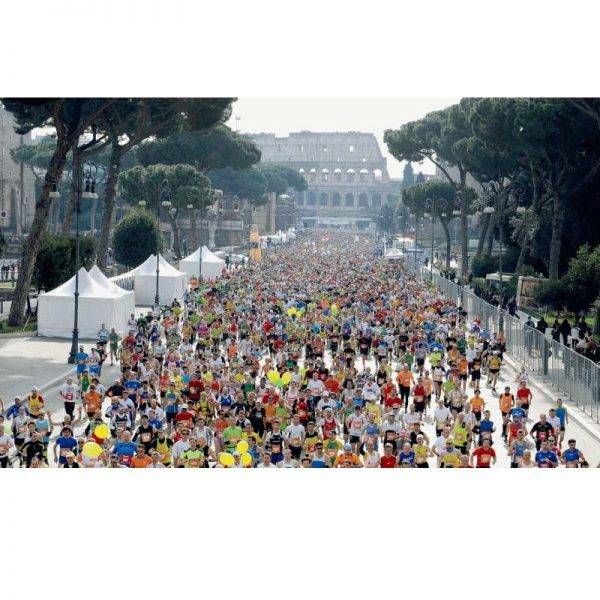 The Mercure Centro Colosseo is a great hotel option for the Rome Marathon. 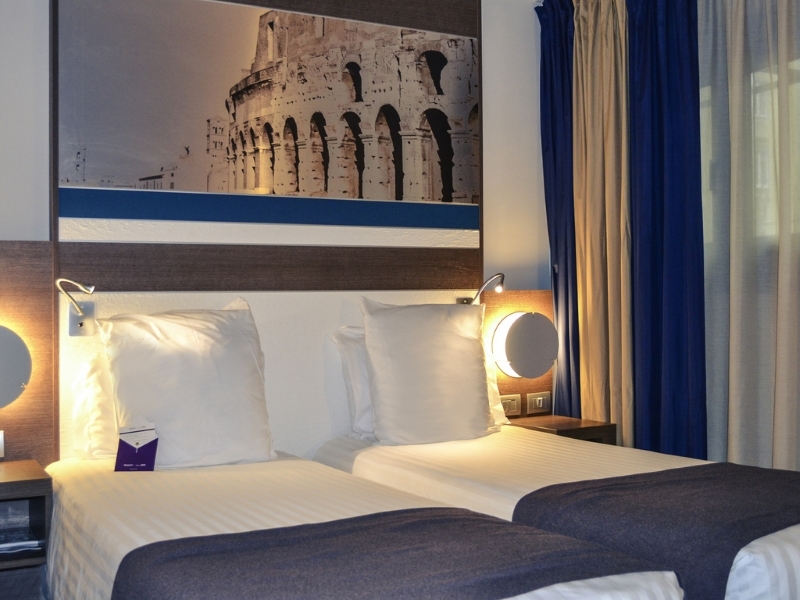 The hotel is well served by public transport, and just 550 yards from Colosseo Metro Station. The paleochristian Basilica of San Clemente is just opposite the hotel. 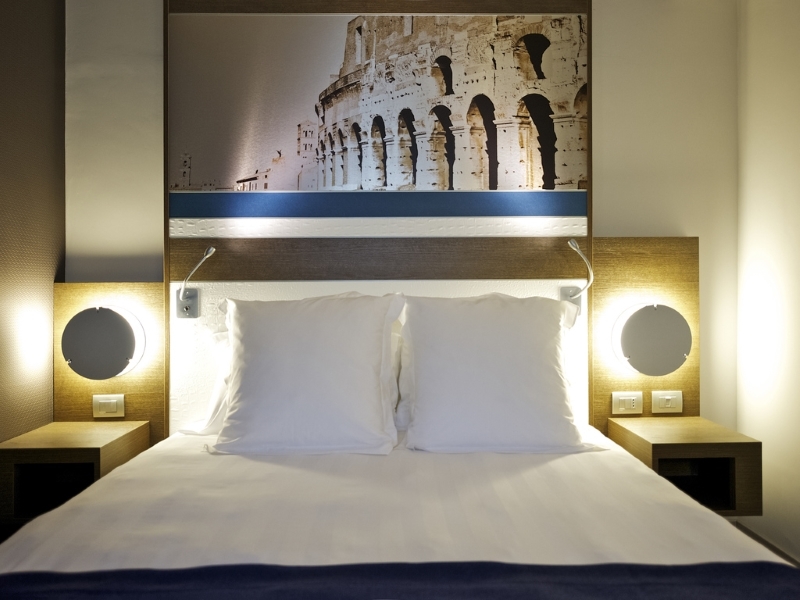 In an enchanting location just a few hundred yards from the main archeological sites and the majestic Colosseum, which you feel like you can almost touch from the panoramic terrace. 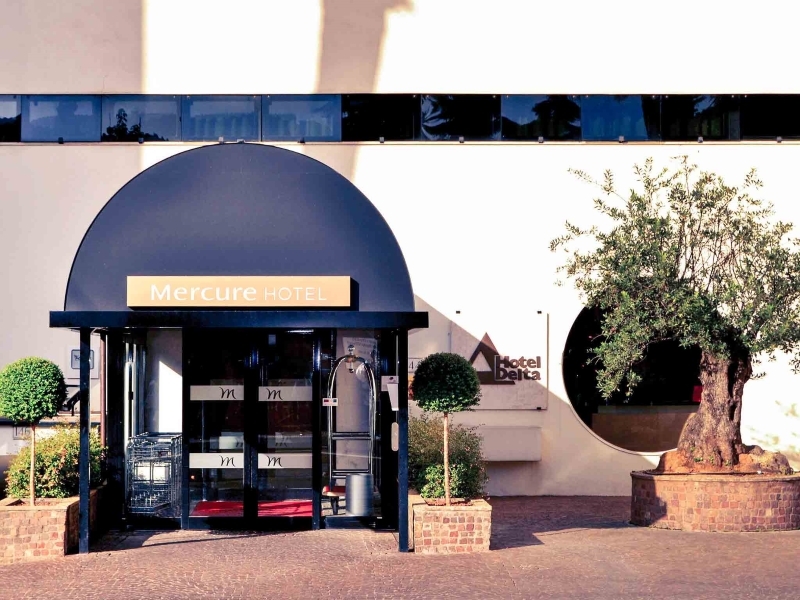 The recent renovations completed in 2013 add contemporary facilities and comfort to the already modern design of the hotel. 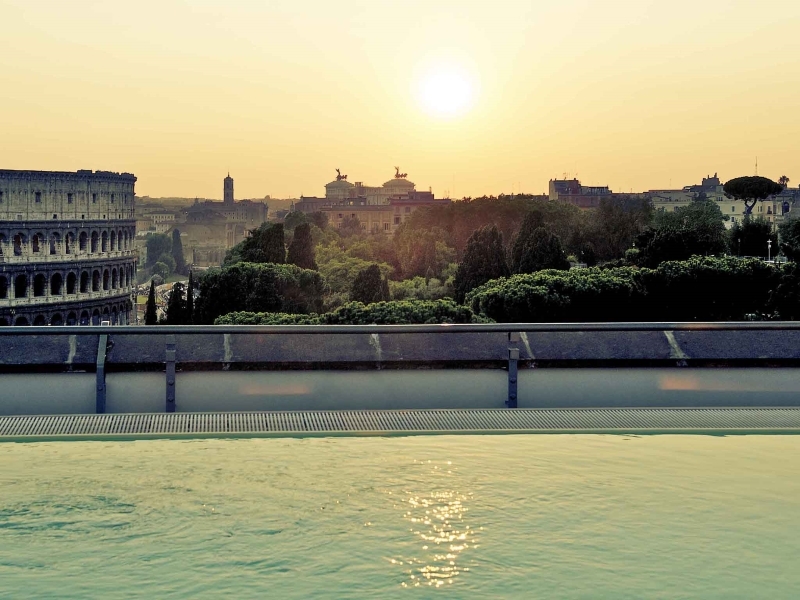 The hotel features a rooftop terrace and a summer pool (open from May) with views of the Coliseum. Modern rooms have free WiFi throughout. 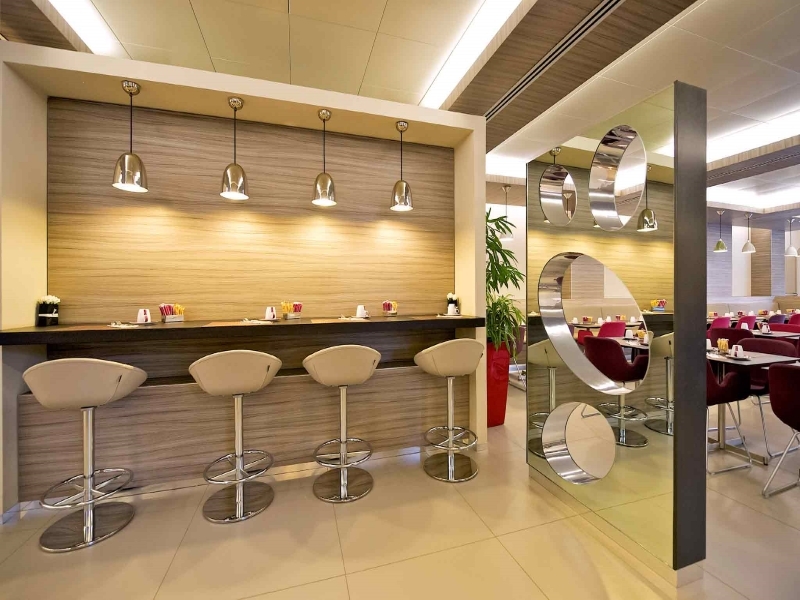 Rooms are equipped with LCD TV with satellite channels, individually controlled air conditioning, and a minibar. At time of booking we require a non-refundable deposit per person plus any applicable entry fee. The balance of your travel package must be paid, at the latest, 12 weeks before departure to avoid the cancellation of your trip. A completed booking form will also be required (within 7 days of booking). The Foreign & Commonwealth Office (FCO) issues travel advice on destinations, which includes information on passports, visas, health, safety and security and more. 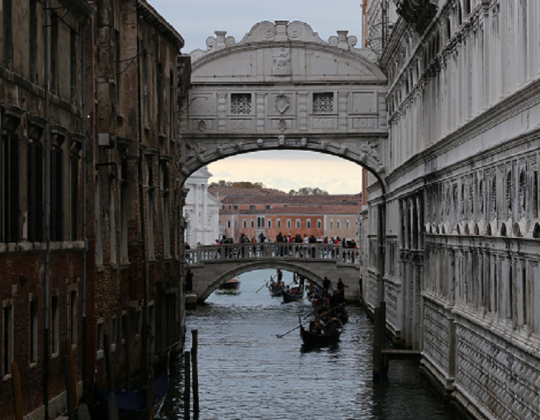 For all information relating to Italy, please click HERE. Please note, all entrants MUST forward a completed entry form (within 7 days of booking) and medical certificate to Sports Tours International by 1st March 2019. 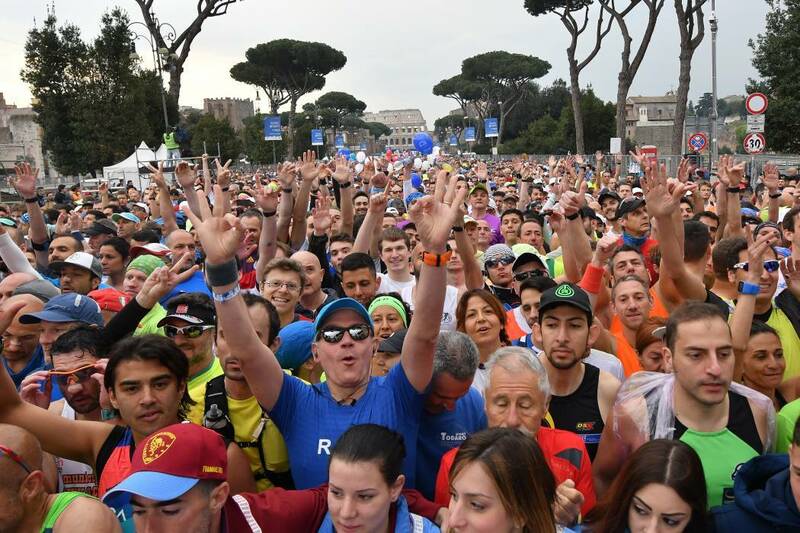 Following recent changes to Italian Athletic Federation Rules, the Medical Examination required for 2019 competitors is significantly more extensive than for previous years. 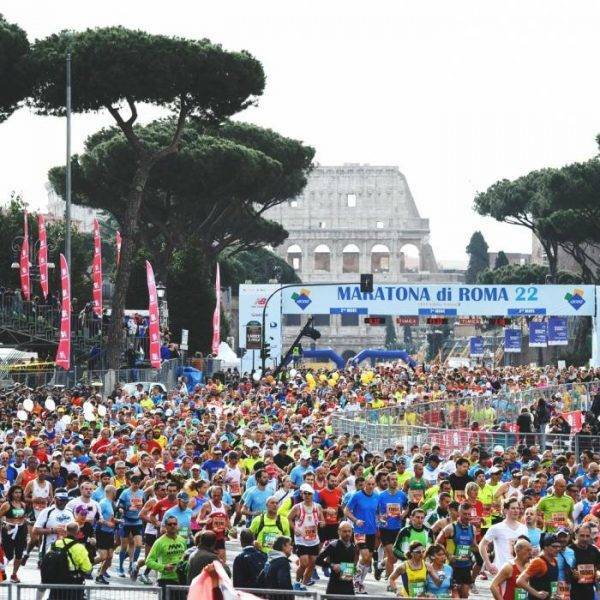 Having liaised directly with Rome Marathon race organisers the Medical Certificate requires: Full Medical Exam, Complete Urine Test, ECG at Rest, Post-Exercise ECG, Spirometry. For further information, please click HERE. 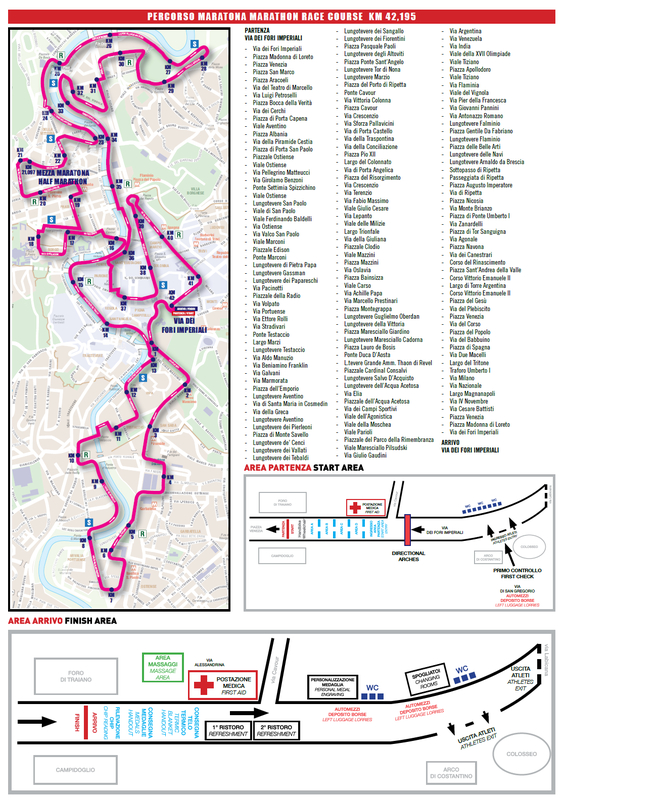 A compulsory Run Card is also required at a cost of 12 euro (2018 – 2019 price to be confirmed). 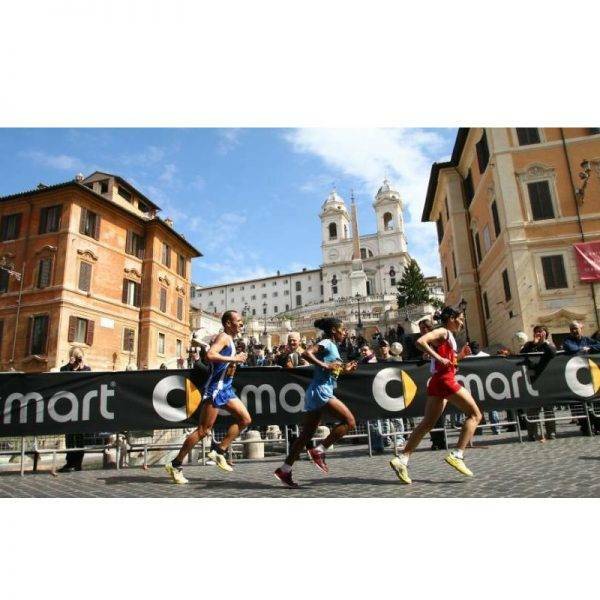 Alternatively – Athletes holding a membership card of non-Italian Athletics Federations recognised by IAAF, upon registration these athletes may upload a scanned version of the membership card recognised by IAAF; the card must be valid on the date of the event. 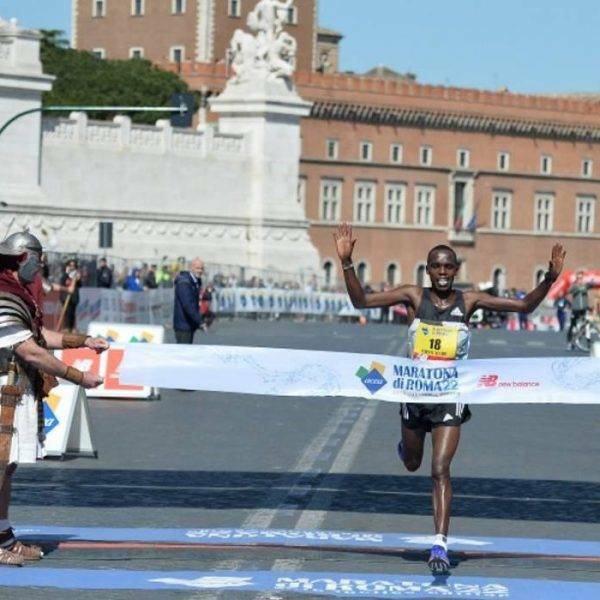 The card must be consistent with competitive road racing according to the current legal provisions enforced in the athlete’s country of residence. A declaration form can be located HERE. 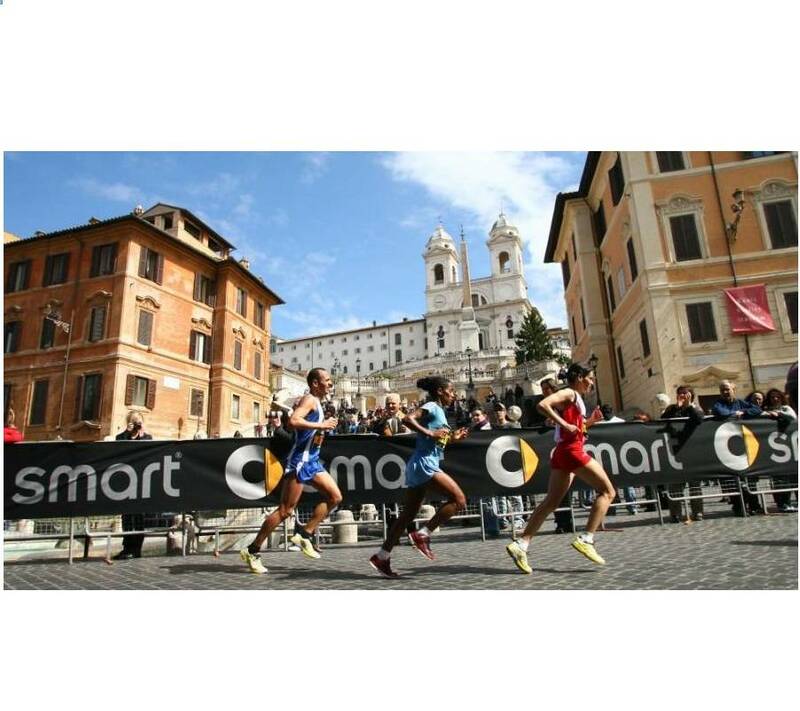 A copy of your IAAF membership card and attached declaration must be provided to Sports Tours. 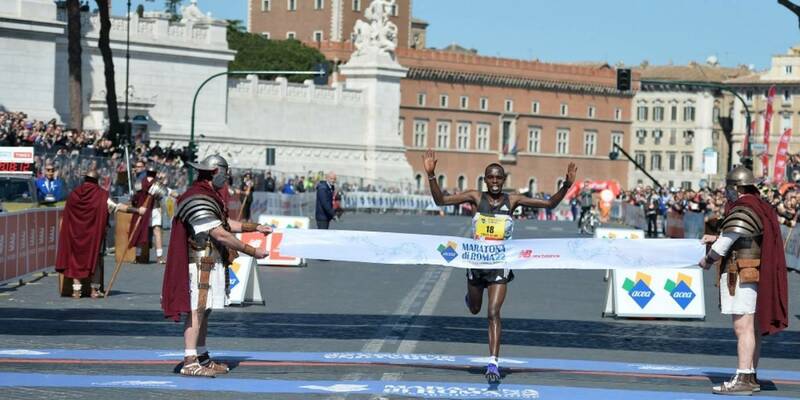 It depends on your marathon PB in the last 2 years. If this is your first , you will be assigned the last starting corral. Q. What will the temperature be like in March ? Q. 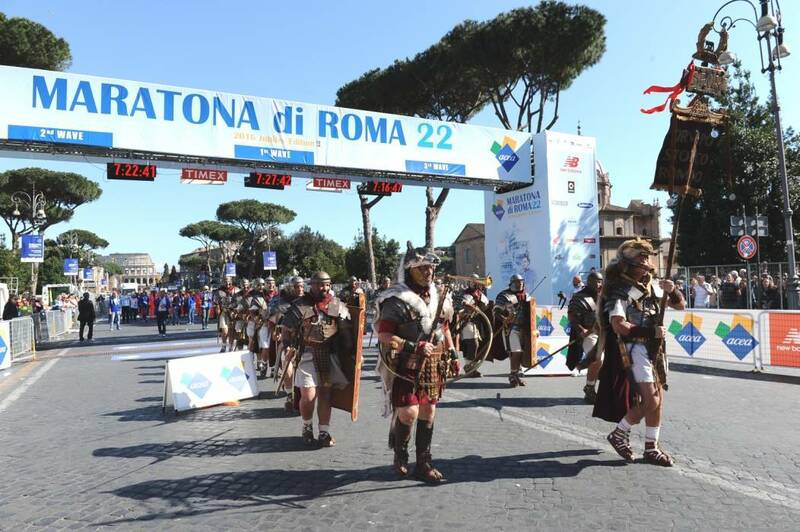 What is the minimun age to take part in the marathon ?